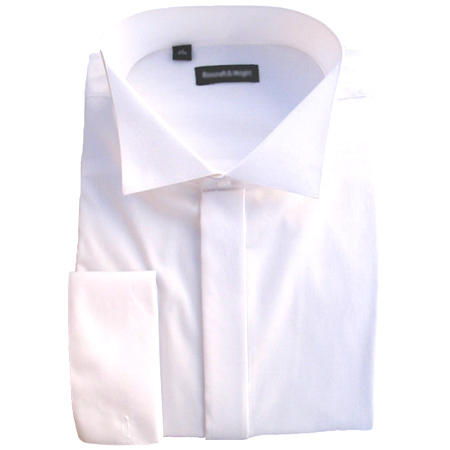 This plain white Wedding Shirt has a swept back wing-collared style. It is manufactured from a 35% Cotton 65% Polyester blend. This allows for minimal shrinkage after washing, enables easy ironing, but also ensures they are very soft to touch and comfortable to wear. The front has covered buttons and the sleeves have double cuffs. Shirt Collar Size: Please Select14.5"15.5"16"17"18"18.5"19"